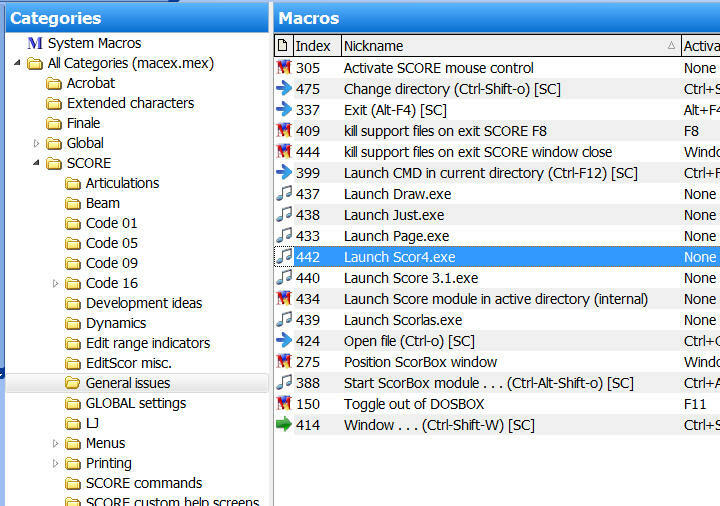 This macro launches the Score v. 4 program within ScorBox. In “score4-location.txt,” indicate the full path to the location of your Score v. 4 executable. In “score3-location.txt,” indicate the full path to the location of your Score v. 3 executable, if indeed you have version 3 of Score. 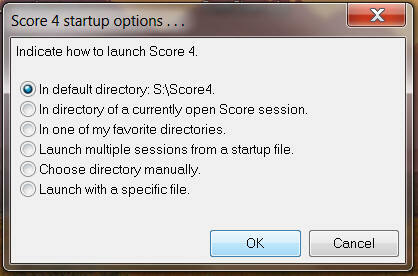 If you do not, then place the same path into this file as you did into your “score4-location.txt” file, but do not delete or discard this file just because you don’t have version 3 of Score. In “favorite-directories.txt,” indicate your favorite startup directories. You may indicate as many as you wish. 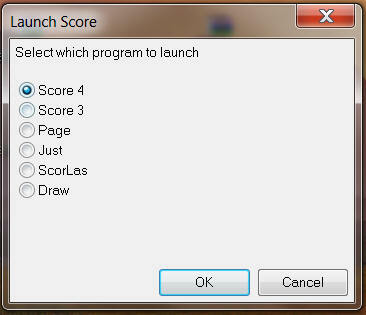 Your choices will appear when you select option three of the startup screen (see preceding image). “default-extension.txt” is dynamically updated when you either launch a new ScorBox session or invoke the “Open file” macro; therefore, you do not need to modify this file when placing it into your ScorBox support directory.